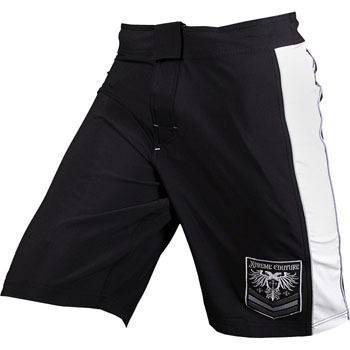 Brand new from Xtreme Couture, the Xtreme Couture Decada Board Shorts. These Xtreme Couture Decada Board Shorts are perfect for the beach in this summertime, but you can also use this for going to the gym either when you’re lifting weights, doing stand-up training and grappling. These MMA board shorts by Xtreme Couture feature a drawstring closure, with reinforced stitching so these won’t ever tear on you. Aesthetically, they feature a low-key Xtreme Couture logo on the left leg. The Xtreme Couture Decada Board Shorts is available at MMAWarehouse.